Spin 360 degrees on any golf course in Whistler and you’ll get an eyeful of snow-tipped mountains and deep green forested slopes. You might find yourself playing alongside an alpine lake or mountain stream, or perhaps putting surrounded by a stand of majestic old growth cedars while wildflowers wave alongside the greens. While Whistler is known to have plenty of warm sunny days in summer, the average top temperature for golf season is around 22°C (72°F). Throw in a mountain breeze to keep the air moving on warmer days and you have ideal conditions for playing at your best. Misty morning tee times offer night-cooled air temperatures and fresh cut greens, while later in the evening the long shadows offer relief from the sun. The grass species used on golf courses in Whistler also thrive off of the warmer days and cooler nights, meaning the greens stay in tip-top condition all season long. These guys don’t put their name to just any old greens. Here you can take your pick from four championship courses by four different designers, each featuring completely unique terrain and a different aspect. Valley floor, lakeside, mountainside? Choose a course where you can play to your strengths, or throw yourself in the deep end and play a round that will challenge your skills – it’s a choose-your-own adventure kind of place that offers plenty for an extended holiday. Check out this Par 3 Flyover Video to get a feel for what’s on offer. Our greens are rolled and cut to perfection. Speeds of 11 or more on the Stimpmeter are not uncommon. Whistler’s temperate climate allows for lush fairways to allow you to lay up to drain your putt. Be warned – reading the greens can be difficult with the endless distractions you’ll face on our selection of Audubon-certified tracks. 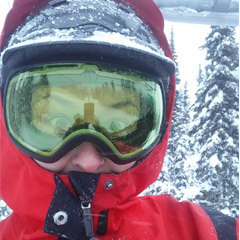 Celebrating or commiserating, we know the value of après in Whistler – no rushing away after you park the cart. Four courses means four different patios to discover post-round. That’s four different menus, four different selections of Pacific Northwest craft beer to work through and four different aspects from which to watch the sun set. Stay later and enjoy a golf and dine combo to round out your evening. At just 2 hours north of Vancouver it’s completely possible to scoot up from the city for a quick round with the work crew. But with a range of accommodation on hand it makes way more sense to check in for the night. That way you can fit in an extra round and not have to worry about driving after the post-round beverage. Have two! We’re big believers here at the Insider that being outdoors is good for you, and if that landscape happens to be breathtakingly beautiful that’s even better. Aside from a healthy dose of fresh mountain air and sunshine, if you choose to walk the courses you’ll get plenty of exercise and some mental-health-boosting conversation as well. It might be just what the doctor ordered. Not everyone is up for a full 18 holes before lunch – or after it for that matter. 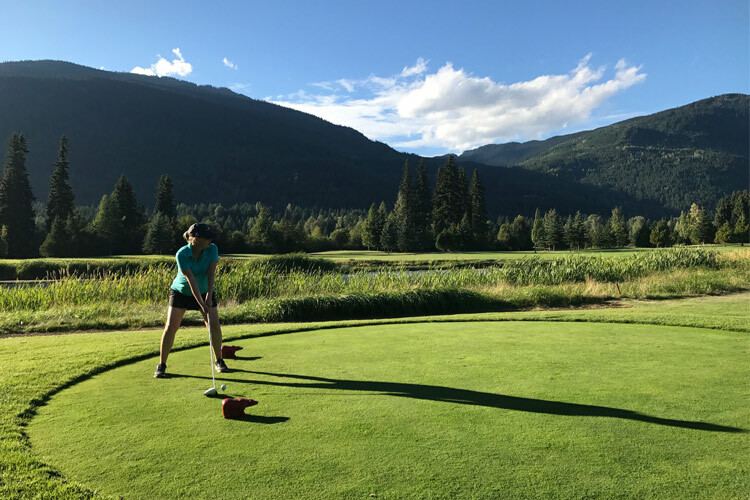 There’s neat options like the “5 after 5” package at the Whistler Golf Club, or the 5 Hole Par 3 course at Big Sky Golf Club for a taste of the golfing life. There’s always early booking discounts available at the beginning of the season but there are also discounts to be had in the middle too. 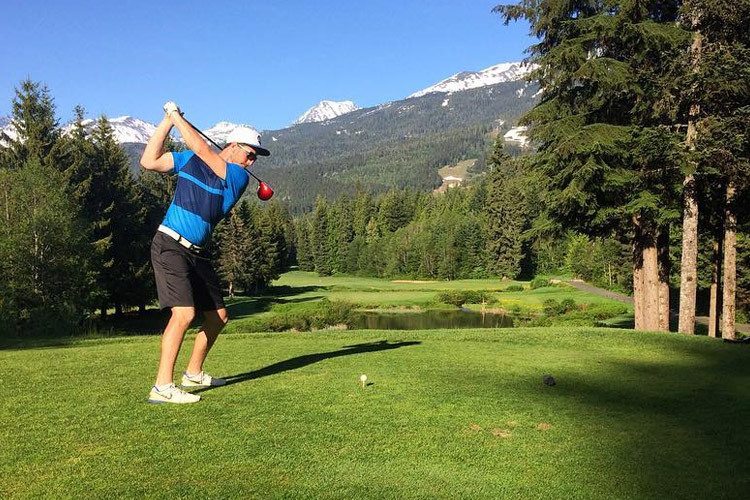 Play off-peak or midweek and you can often save on course fees (like the Twilight fees at Nicklaus North Golf Course and the Fairmont Chateau Whistler Golf Club for example), making it easier to grab a round in between your other activities. Our courses also offer free play to Juniors allowing for a complete family experience. There’s always (at least) one aspect of your game you’d like to improve, and a golf vacation is the perfect excuse to polish those skills. Each course has a driving range for warming up and working out the kinks in your short and long game plus pro shops where you can get advice on the latest equipment and clothing. If you’re really keen on getting ahead, check out the lessons and clinics on offer – nothing beats having a pro on board to help fine tune your swing. You might just surprise the lads and lasses on your home course when you finally hit that hole in one. Insider tip: Ladies-only and kids lessons are on offer to make it a family golf affair. Within a few minutes’ walk of each course there’s lakes, bike trails, hiking trails and more. It’s nice to know there are options if you want to take a day off, but it’s also good to know that you can entertain non-golfing members of your family while you play for days. Set them up on a spa day, an art workshop or zipline tour and enjoy your round in peace until you meet on the patio later in the day – guaranteed smiles all round.